It’s finally summer in the Twin Cities, and what better way to celebrate than listening to live music under the sun and stars? Almost every day of the week from now until early September, there are outdoor concerts including freebies in the Minneapolis parks, rap and rock festivals, big-ticket shows like Toby Keith and Billy Joel, and, of course, the State Fair’s lineup. Check out the list below and start saving the dates. Grand Old Day Local and national bands such as 4ontheFloor and Charlie Parr play on seven outdoor stages along Grand Avenue from Dale to Prior. Grand Old Day Grand Avenue, St. Paul Local and national bands such as 4ontheFloor and Charlie Parr play on seven outdoor stages along Grand Avenue from Dale to Prior. Minnesota Orchestra The beer makers joining forces with a few members of the Minnesota Orchestra might seem an unlikely pairing, but we find that free suds go quite well with classical brass. Minnesota Orchestra Bad Weather Brewing The beer makers joining forces with a few members of the Minnesota Orchestra might seem an unlikely pairing, but we find that free suds go quite well with classical brass. Willie Nelson and Family You know Willie. What you might not know is that the 84-year-old is touring behind his acclaimed 61st album, God’s Problem Child. 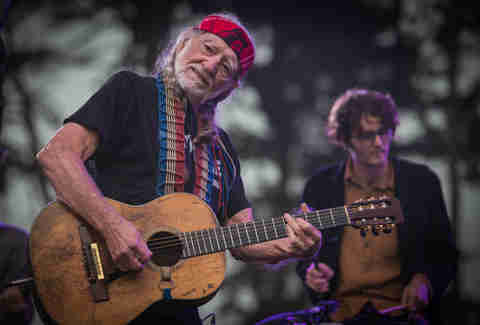 Willie Nelson and Family Treasure Island You know Willie. What you might not know is that the 84-year-old is touring behind his acclaimed 61st album, God’s Problem Child. Dat Brass Doe Head out of the city for Champlin’s Father Hennepin Festival to see the parade and a performance by KDWB’s Dave Ryan and his brass band, which is comprised of loyal listeners. Dat Brass Doe Father Hennepin Festival Head out of the city for Champlin’s Father Hennepin Festival to see the parade and a performance by KDWB’s Dave Ryan and his brass band, which is comprised of loyal listeners. Twin Cities Jazz Festival Join more than 40,000 jazz fans who flock every year in this Lowertown park. This year’s lineup includes headliners McCoy Tyner, Joshua Redman, and Terence Blanchard, among many other greats. Twin Cities Jazz Festival Mears Park Join more than 40,000 jazz fans who flock every year in this Lowertown park. This year’s lineup includes headliners McCoy Tyner, Joshua Redman, and Terence Blanchard, among many other greats. 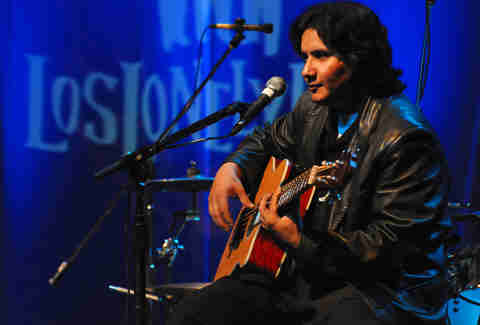 Mason Jennings The folk-pop singer-songwriter now tours nationally but began his music career in a Minnesota cabin. Jennings just finished his his 13th album and world tour with Jack Johnson, but you can catch him locally at Music in the Zoo. Mason Jennings Minnesota Zoo The folk-pop singer-songwriter now tours nationally but began his music career in a Minnesota cabin. Jennings just finished his his 13th album and world tour with Jack Johnson, but you can catch him locally at Music in the Zoo. Ziggy Marley He’s best known as Bob Marley’s son, but Ziggy has talents all his own and eight Grammys to his name. Plus, nothing says summer like reggae in an amphitheater. Ziggy Marley Minnesota Zoo He’s best known as Bob Marley’s son, but Ziggy has talents all his own and eight Grammys to his name. Plus, nothing says summer like reggae in an amphitheater. Journey Don’t stop believin’ that you’ll be hearing this song at karaoke all summer, so you might as well hear it done on-key. Journey Treasure Island Casino Don’t stop believin’ that you’ll be hearing this song at karaoke all summer, so you might as well hear it done on-key. Go Fest ‘17 Party outside the Cabooze with Bleachers, Mutemath, the Naked and Famous, and more. Go Fest ‘17 The Cabooze Plaza Party outside the Cabooze with Bleachers, Mutemath, the Naked and Famous, and more. Basilica Block Party Praise the Loud, The Basilica Block Party returns for its 22nd year with 19 bands on three stages over two days, including the Shins, Brandi Carlile, Walk the Moon, and AWOLNATION. Basilica Block Party Basilica of St. Mary’s Praise the Loud, The Basilica Block Party returns for its 22nd year with 19 bands on three stages over two days, including the Shins, Brandi Carlile, Walk the Moon, and AWOLNATION. Hippo Campus, Polica, Low Sure, it’s a trek from the Cities, but we’d be remiss not to mention this stacked bill of Minnesota favorites. Hippo Campus, Polica, Low Bayfront Park, Duluth Sure, it’s a trek from the Cities, but we’d be remiss not to mention this stacked bill of Minnesota favorites. 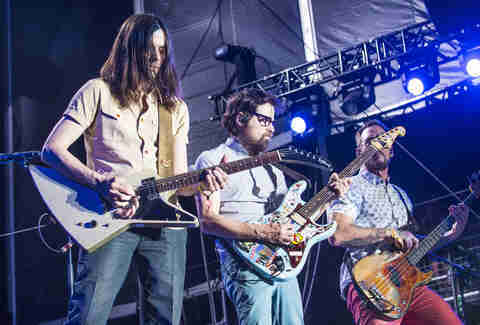 Weezer Sing along to “Buddy Holly,” “Hash Pipe,” and “Beverly Hills,” outdoors at The Island, with Cold War Kids supporting. Weezer Treasure Island Sing along to “Buddy Holly,” “Hash Pipe,” and “Beverly Hills,” outdoors at The Island, with Cold War Kids supporting. Rock the Garden Thankfully, after a year hiatus due to construction, The Current’s Rock the Garden returns to the actual garden (the Walker Art Center’s Minneapolis Sculpture Garden) this year. Bon Iver headlines, with The Revolution, Benjamin Booker, Car Seat Headrest, and Margaret Glaspy supporting. Rock the Garden Walker Arts Center Thankfully, after a year hiatus due to construction, The Current’s Rock the Garden returns to the actual garden (the Walker Art Center’s Minneapolis Sculpture Garden) this year. Bon Iver headlines, with The Revolution, Benjamin Booker, Car Seat Headrest, and Margaret Glaspy supporting. Dr. Dog The next concert collaboration between First Avenue and Surly Brewing is this off-the-wall indie rock group, which recently toured with My Morning Jacket. Dr. Dog Surly Brewing The next concert collaboration between First Avenue and Surly Brewing is this off-the-wall indie rock group, which recently toured with My Morning Jacket. Steve Miller Band and Peter Frampton Two classic rock icons join forces for a night that dads will love. Steve Miller Band and Peter Frampton Treasure Island Two classic rock icons join forces for a night that dads will love. Billy Joel Probably the most-talked about outdoor concert of the summer among the 40-and-up set belongs to Joel, who will perform for his largest Twin Cities crowd to date. Billy Joel Target Field Probably the most-talked about outdoor concert of the summer among the 40-and-up set belongs to Joel, who will perform for his largest Twin Cities crowd to date. Backstreet Boys, Nelly, Florida Georgia Line It’s like an Elvis sandwich (peanut butter, bacon, and banana). You wouldn’t expect the three ingredients to work, but put them together and you’ve got something special (maybe). Backstreet Boys, Nelly, Florida Georgia Line Target Field It’s like an Elvis sandwich (peanut butter, bacon, and banana). You wouldn’t expect the three ingredients to work, but put them together and you’ve got something special (maybe). Steve Earle and The Dukes Steve Earle has been around the block and then some during his 30-plus year career, playing country, rock, folk, and, most recently, the blues. Steve Earle and The Dukes Minnesota Zoo Steve Earle has been around the block and then some during his 30-plus year career, playing country, rock, folk, and, most recently, the blues. WE Fest Dust off your cowboy boots, pack the cooler, and head northwest to one of the biggest country parties in the nation. This year, the 35th-annual WE Fest includes headliners Luke Bryan, Zac Brown Band, and Lady Antebellum. WE Fest Soo Pass Ranch Dust off your cowboy boots, pack the cooler, and head northwest to one of the biggest country parties in the nation. This year, the 35th-annual WE Fest includes headliners Luke Bryan, Zac Brown Band, and Lady Antebellum. Los Lonely Boys Brothers Henry, Ringo, and Jojo Garza bring their “Texican Rock”-- combining rock, blues, soul, country, and Tejano -- to the zoo. Los Lonely Boys Minnesota Zoo Brothers Henry, Ringo, and Jojo Garza bring their “Texican Rock”-- combining rock, blues, soul, country, and Tejano -- to the zoo. BoDeans Known primarily as the band that produced the theme song to Party of Five, the Bodeans are known for their high-energy alt-rock performances. BoDeans Minnesota Zoo Known primarily as the band that produced the theme song to Party of Five, the Bodeans are known for their high-energy alt-rock performances. Father John Misty Singer-songwriter Josh Tillman brings his unpredictable, over-the-top showmanship to Surly Field. Father John Misty Surly Brewing Singer-songwriter Josh Tillman brings his unpredictable, over-the-top showmanship to Surly Field. Tour de Fat The Record Company headlines this early evening of Fat Tire beer, circus performers, comedy, and more. Tour de Fat The Cabooze Plaza The Record Company headlines this early evening of Fat Tire beer, circus performers, comedy, and more. Nickelback and Daughtry What better way to enjoy some oversized food on a stick than with the multi-platinum, Canadian rockers? Nickelback and Daughtry Minnesota State Fair What better way to enjoy some oversized food on a stick than with the multi-platinum, Canadian rockers? Five for Fighting In the State of Hockey, you have to appreciate an act named after the sport’s major penalty. Head to the Zoo to catch singer-songwriter John Ondrasik play his hits “Superman (It’s Not Easy)” and “100 Years” backed by a string quartet. Five for Fighting Minnesota Zoo In the State of Hockey, you have to appreciate an act named after the sport’s major penalty. Head to the Zoo to catch singer-songwriter John Ondrasik play his hits “Superman (It’s Not Easy)” and “100 Years” backed by a string quartet. 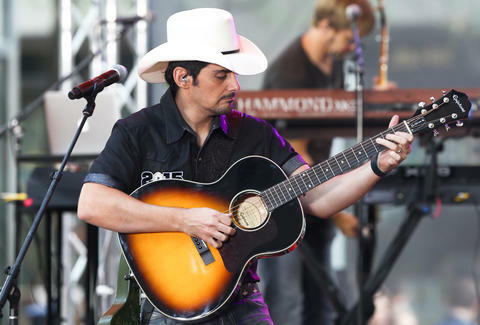 Brad Paisley Paisley playing outdoors will feature a steady flow of alcohol at The Island. Bring your straw cowboy hat and make sure to hydrate. Brad Paisley Treasure Island Paisley playing outdoors will feature a steady flow of alcohol at The Island. Bring your straw cowboy hat and make sure to hydrate. Toby Keith It’s a shame Keith’s I Love This Bar in St. Louis Park shut down a couple years ago, but at least he’s back to take the stage at the State Fair with opener 3 Doors Down. Toby Keith Minnesota State Fair It’s a shame Keith’s I Love This Bar in St. Louis Park shut down a couple years ago, but at least he’s back to take the stage at the State Fair with opener 3 Doors Down. John Mellencamp The ‘Camp coming to the Fair is a pairing so good it hurts. John Mellencamp Minnesota State Fair The ‘Camp coming to the Fair is a pairing so good it hurts. Usher Yeah! Try to mimic Usher’s dance moves to burn some calories in the stands after you’ve eaten all that fried food. Usher Minnesota State Fair Yeah! Try to mimic Usher’s dance moves to burn some calories in the stands after you’ve eaten all that fried food. Jenna Bennett is a writer for Thrillist who will definitely be at Basilica Block Party this summer. Follow her on Twitter and Instagram @jennasbennett.